This novel begins with a large family Christmas dinner at Greenbanks, the home of Robert and Louise Ashton. It is around 1910. Louise is in her late middle age, a quiet, kind woman who delights in her housekeeping skills and her garden. Her husband, a serial philanderer, has proved a source of pain and humiliation, but she has tried to live it down. Although the Ashtons are grandparents, three of their grown children live at home. Jim works at the family business, allowing his father to devote little time to it. Charles also purportedly works there, but he prefers to spend time fiddling with inventions, tinkling the piano, and entertaining his adoring mother. Laura is just about to engage herself to Cecil Bradfield. Rachel, the five-year-old daughter of Letty and Ambrose, is Louise’s favorite grandchild. Robert soon dies in embarrassing circumstances. But even though the novel follows the fortunes of the family over roughly 15 years, it concentrates on the relationship between Louise and Rachel. Rachel, with a self-absorbed mother and an officious father, loves spending as much time as possible at Greenbanks with her grandmother. The novel has overtones that are feminist for the time, as Rachel finds she has a gift for scholarship. Her father’s rigid and old-fashioned ideas about the place of an education in the lives of young women cost her a scholarship at Oxford, but she manages to continue her education despite him. The cover at the top is really plain, but for some reason Amazon shows this picture, which is actually the inside of the cover! One source of disagreement in the family is Louise’s choice of companion. Louise always felt sorry for Kate Barlow when she was a child and tried to include her in family activities. When Kate was a young woman, it was rumored she became pregnant by a married man and had his child, then was thrown off by her parents. Louise meets her in town one day and begins a correspondence with the reluctant woman. After Charles leaves for South Africa and her other two children marry, she invites Kate to become her companion. But Kate never really accepts Louise’s kindness. The story of the Ashtons is told in spare, matter-of-fact prose that makes no attempt to influence the reader. Many of the characters are flawed and some are unlikable, but there are no heroes and villains here, just a set of ordinary middle-class people. It’s difficult, then, to explain why I so much enjoyed reading this novel. Whipple is a master of style and shows us her characters in the fullness of their lives. I love this one! 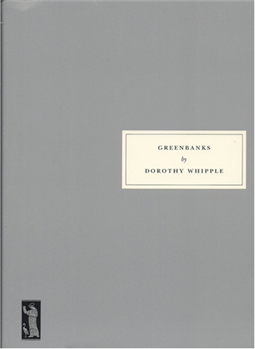 I am glad to see you are working your way through all the Dorothy Whipple. Yes, so far I have liked her very much. Sometimes the ones filled with ordinary people and events are the best ones. Yes, I think so. It just makes it harder to explain what’s great about it. I have got to read this–it sounds great, and in a way like an early Mrs. Dalloway? Thanks, Kay! I didn’t think of Mrs. Dalloway when I read it. It doesn’t focus on any one character, although neither did Mrs. Dalloway. It is more about the entire household, with an emphasis on the grandmother and granddaughter.